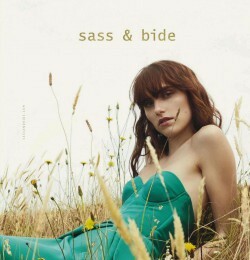 Sass & Bide is an Australian fashion brand founded by Sarah-Jane Clarke and Heidi Middleton in the late 1990s. They commenced selling customised jeans in a stall on London's Portobello Road Market. After their initial success in the markets, Clarke and Middleton returned to Australia in 1999, based in Sydney, they developed an underground following that led to their first seasonal collection at Mercedes Australian Fashion Week in 2001. 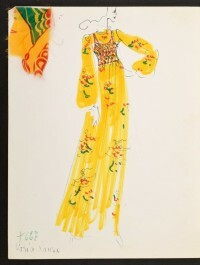 Subsequent collections were shown at London Fashion Week in 2002 and since 2003 at the New York Fashion Week. The brand offers a full range of women’s ready to wear, denim & accoutrement collections. Currently stocked in over 20 countries, the range is available at premium boutiques, exclusive department stores worldwide and now shipping online to NZ, UK & USA.